What does music look like? What happens when you reach into a fractal? Explore these questions on Developer Labs with Isaac Cohen, and stay tuned for his livestreamed SFHTML5 talk on Thursday. Plus, a great guide to waving through colors with a Philips Hue bulb. Also this week, we have a real-time projection mapping robot, buzzing Google Analytics globe, 3D waveform DJ turntable, and how Adobe and the Food Network are making the web sweeter. To subscribe to our developer newsletter and get updates through email, click here. Drawing his inspiration from music, mathematics, and the infinite possibilities of space and nature, Isaac Cohen likes to push the limits of the web. Watch his talk on how we can rethink web design and reimagine what the Internet might look like in the future. Want to light up your world? Stefan Lauer was able to integrate a Philips Hue bulb and the Leap Motion Controller using Scala and our Java API. 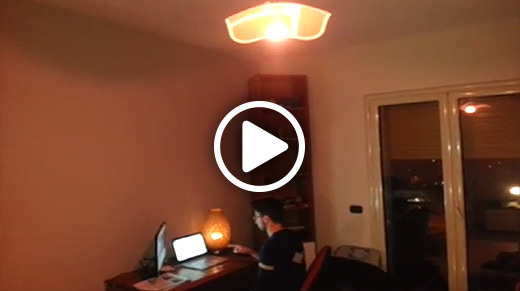 Another recent Hue bulb experiment comes from Rocco Musolino, who posted the source code for his project on his Italian-language blog. Neurogami posted several examples for his LeapMotionP5 library for Processing. 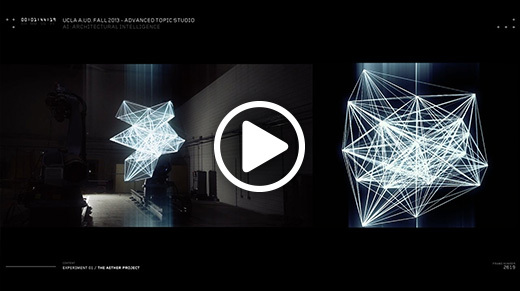 What can robotic interactions teach us about architecture? 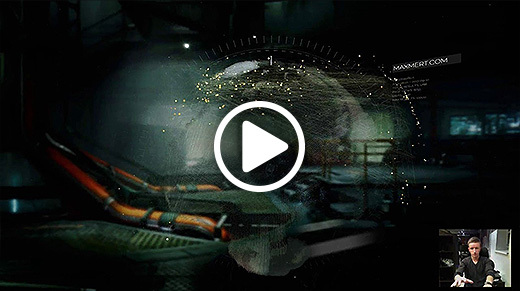 Using formal transformation and real-time projection mapping, a team of UCLA researchers created The Aether Project – an immersive interactive environment involving robots and the Leap Motion Controller. Explore your global traffic reach. Maksim Vetrenko’s WebGL experiment uses Google Analytics data to create a beautiful globe, which you can turn and zoom into with the Leap Motion Controller. You can see it in action at cerebro.maxmert.com. An uncommonly delicious web experience. Adobe’s Web Platform group recently teamed up with the Food Network to bring their Cupcakes! app to the web – and add a little CSS sugar and spice along the way. 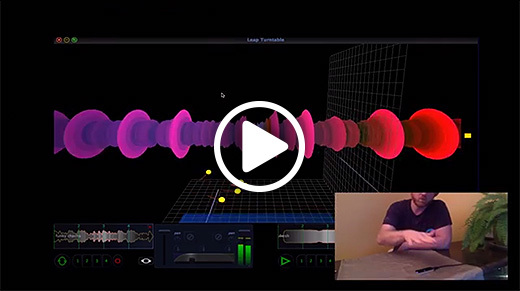 Using the Leap Motion Controller and a speech recognition tool, along with cutting-edge layout and graphics standards, they were able to create a beautiful and intuitive web experience. Grab a 3D waveform. Aaron Leese created a turntable-style DJ control prototype that lets him pull a track forward and backward. In just a couple of days, explore digital playgrounds with Isaac Cohen, whose talk “Finding (and Making) your Happy Place” focuses on our power to ask emotional questions through code – including WebRTC, the Web Audio API, and Three.js. The event will be livestreamed on Google Developers Live.